Today marks the anniversary of one of the most historic moments in human history. It was on this day in 1961, that Soviet cosmonaut Yuri Gagarin became the first human to take a journey into outer space. Aboard his Vostok spacecraft, not only did Gagarin become the first person in space, he also was the first to orbit the Earth — something NASA didn’t accomplish until its third manned Mercury mission, some nine months later. While strapped to the top of a Soviet Vostok-K rocket, Gagarin hummed and whistled “Lilies of the Valley”, cracked jokes, and found plenty of time to laugh, all the while waiting for the ignition below to send him where no man had gone before. Gagarin : Thank you. Goodbye. See you soon, dear friends. Goodbye, see you soon. Gagarin spent 108 minutes from launch to landing, completing a single orbit of the Earth. It took 25 minutes for ground controllers to be sure he had successfully reached orbit. 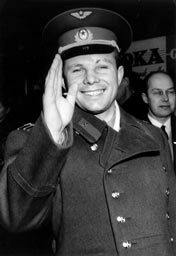 Gagarin remained calm through the whole ordeal 1 and seemed to rather enjoy himself. He described weightlessness as an unusual, yet enjoyable, experience and radioed back the things he could see out of the windows in his capsule. Gagarin landed on the ground as a world hero. The Soviets were emboldened by their great accomplishment, and you could be certain that the early American space program had to pick their collective jaws off the floor and wonder how they would catch up. We tip our hats to Yuri Gagarin and the bold first step he took to get us to where we are now–more than half a century later. *This post originally published April 12, 2011. It has been slightly modified from its original version. It was on this day in 1965, that cosmonaut Alexey Leonov crawled out of his Voskhod 3KD 1 spacecraft and performed humankind’s first spacewalk. Alexey Leonov stepped into uncharted territory on that historic day, marking a milestone in human exploration. While it wasn’t immediately publicized 2, Leonov’s 12-minute-9-second spacewalk skirted on the edge of disaster. Once Leonov entered the vacuum of space, his spacesuit become inflated and maneuverability suffered. 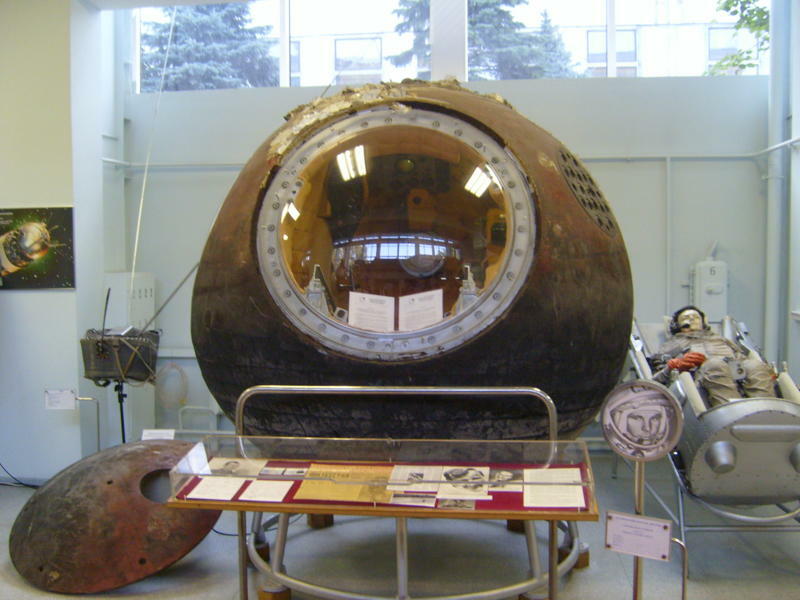 The real trouble began as Leonov tried re-entering the Voskhod 2 craft, and became stuck in the the hatch due to the inflated suit. He was forced to partially depressurize his suit in order to fit through the hatch, putting himself at great risk of suffering decompression sickness, known as ‘the bends’. While the spacewalk and a number of other elements of the mission lingered on the verge of catastrophe, this was a time when survival equated to success. American astronauts followed suit soon after, as they crawled out of their Gemini capsules to experience the same joy and danger Leonov experienced (Gene Cernan’s Gemini spacewalk was also a close-call). We’ve come a long way since those baby-steps into space, with now over 200 humans having walked in space. So, to General Leonov, I offer a belated congratulations and thank you for pushing against the boundaries of the final frontier.